The City of San Luis Obispo has had another month full of headlining news! With features in Taste of Koko, DatingAdvice.com, Food Network and Family Vacation Critic, San Luis Obispo continues to be acknowledged for delicious eats and the beautiful outdoors. Catch up on SLO’s latest coverage from April 2018. Looking for a San Luis Obispo Travel Guide? Food blogger and Instagram influencer, Jane Ko, had a weekend getaway to SLO where she fell in love with our coastal city. Ko writes about tips on everything you need to know about weather, what to pack, places to see, where to eat, and things to do. Ko did it all from the mountains to the ocean and loved her experience! Dune buggy riding through the dunes, surfing and horseback riding are only some of the adventures she had. And, when it’s time to sit back and relax, Ko shares tips on SLO’s best wineries, scenic sunset spots and the hottest shopping spots in Downtown SLO. If you’re stopping in San Luis Obispo, take a look at her itinerary to get great advice on what to do while visiting. What’s better than a destination that has something for everyone? DatingAdvice.com recognizes San Luis Obispo as a great travel destination for couples who enjoy a variety of activities. SLO caters to travelers who desire a romantic escape where they can experience it all. Next getaway… San Luis Obispo! Fall in love with the beautiful outdoors, delicious food, renowned wineries, arts and culture. What more could you ask for? Regardless of your interests and travel style, you are guaranteed to enjoy your time here on the Central Coast with your loved one. Featuring everything from garlic ice cream and avocado toast to In-N-Out’s Double-Double to clam chowder, the Food Network rounded up 30 of California’s most iconic foods and the best places to try them. Not to our surprise, San Luis Obispo made the list with Firestone Grill’s Tri-Tip Sandwich. Food Network raved that “the tri-tip sandwich works as a standalone meal, but it’s even better with a side basket of seasoned fries.” We couldn’t agree more. 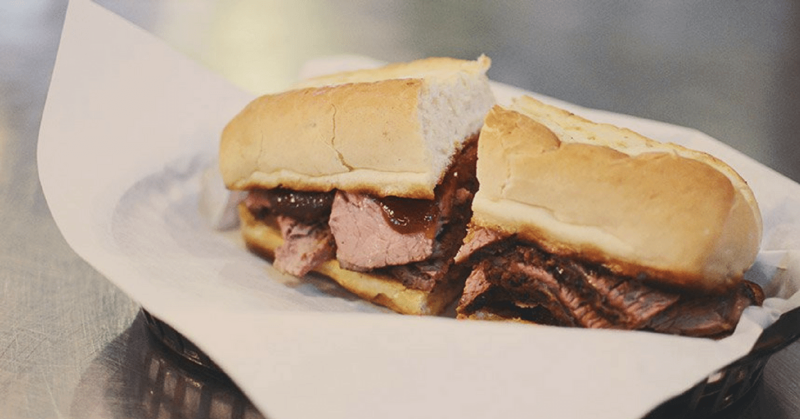 In a recent blog post, we also featured the legendary tri-tip sando on our top 10 must-have eats in San Luis Obispo. If you’ve got foodie fever, be sure to also check out our top brunch spots and favorite sandwich shops for a mouth-watering dish. Sleep in a cave and bathe in a rock shower. 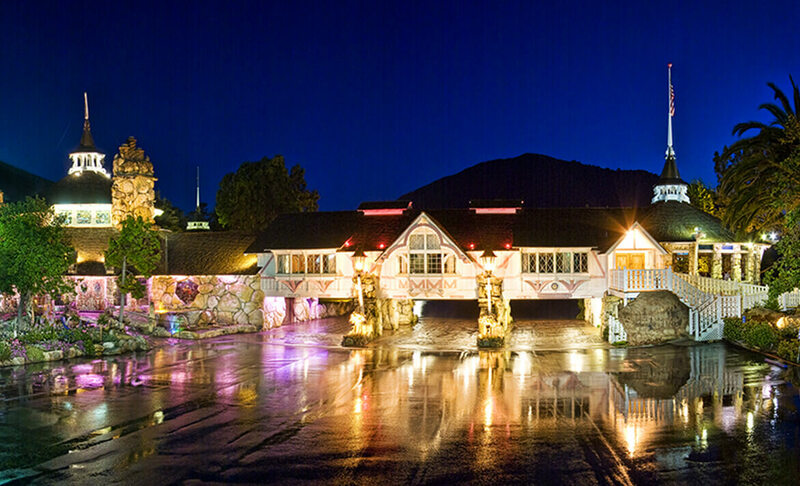 The Madonna Inn and its themed rooms are recognized as one of the top 10 funkiest motels for families. Laura Dunning writes about San Luis Obispo’s very own Madonna Inn as a landmark you cannot miss. Whether you are here for the weekend, or traveling for business, San Luis Obispo offers a wide variety of accommodations. From famous attractions like the Madonna Inn, to hotels meeting necessary amenities, SLO has accommodations to satisfy you.